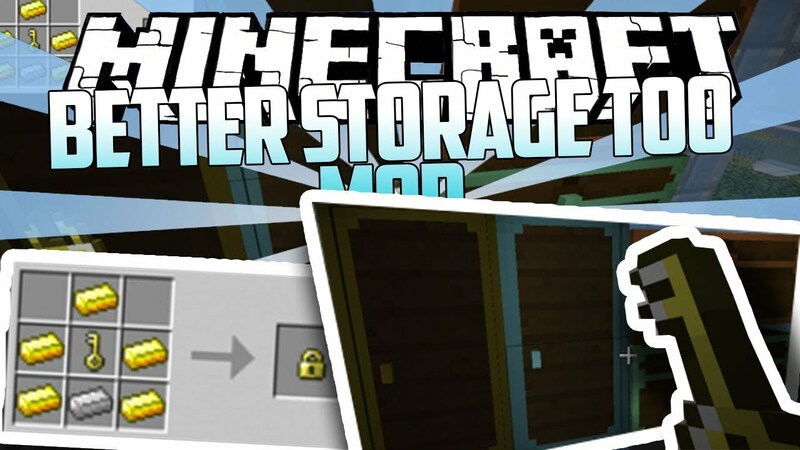 Better Storage Too Mod 1.12.2/1.11.2 is a mod that allows us to have lot of space to put our item. 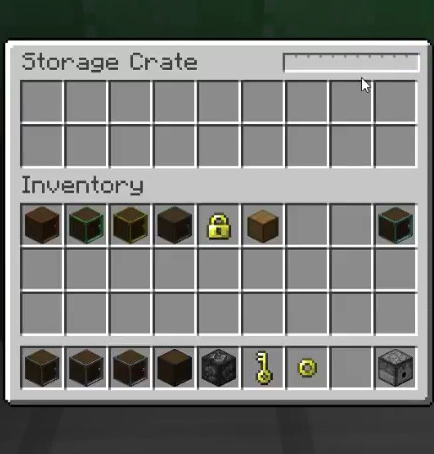 In Minecraft it only has 27 boxes but in better storage too mod it has 200 more slots to put in thousands of items and to store. 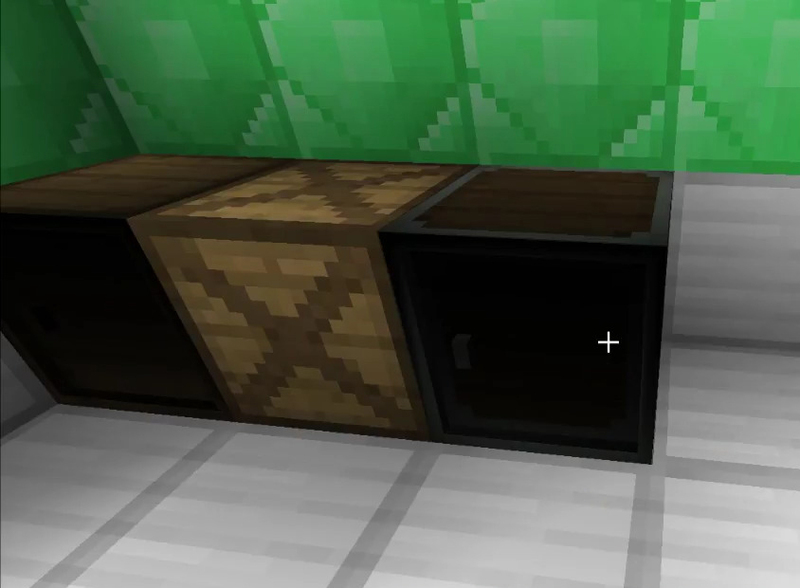 This mod offers a bunch of new storage options for Minecraft. 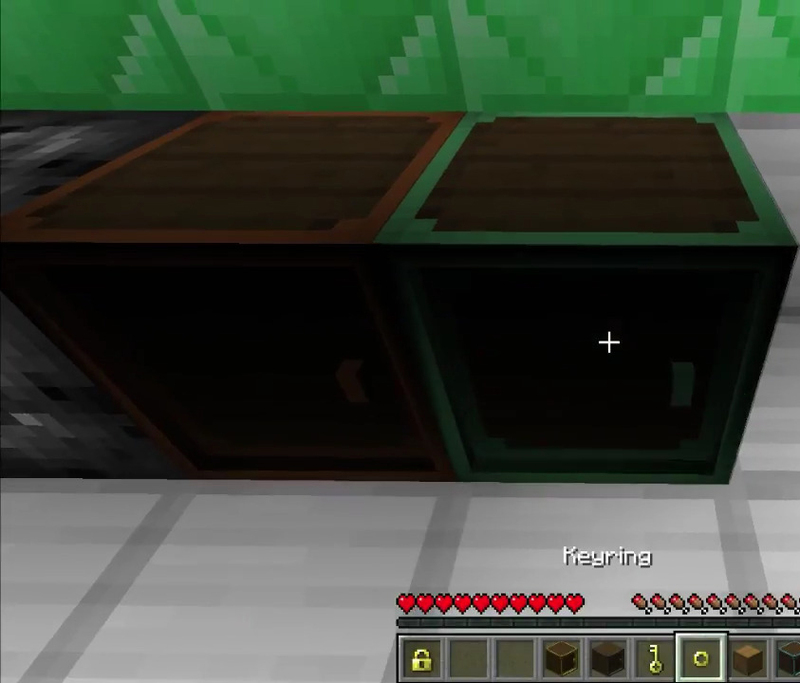 You now have more choices with broader storage and security than standard chests. 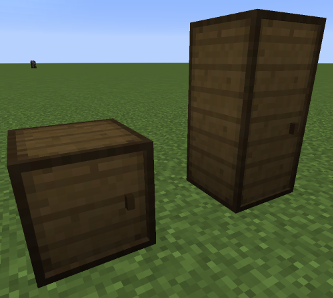 Lockers function like vertical chests with doors on the front. They can be stacked right next to each other unlike regular chests. You can lock reinforced chests and lockers with a lock and key. The lock is crafted with the key and then that key is left behind in the craft process. That key is the only one that can unlock that lock. So you simply shift+click on your chest/locker and then shift+click to unlock the lock with the key. 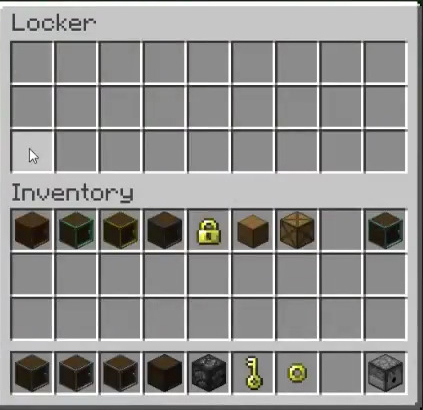 Plus they take on different colors depending on which ore you use to craft them and they have more storage capacity than traditional lockers and chests. 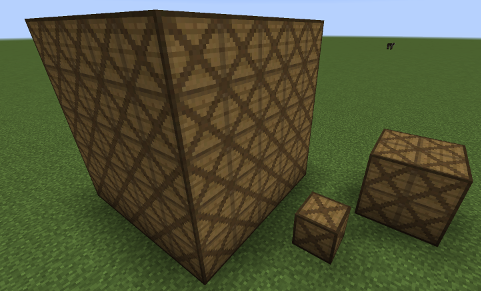 And crates are an expandable storage system that can be stacked into 5x5x5 cubic piles. They offer a broader capacity but the drawback is that only a random selection can be accessed each time you open them. There’s also a simpler cardboard box option that has limited uses but can also be used to transport items from place to place. Just load items into the box and break it. You’ll see the items listed in the box’s inventory while carrying it. Then just place it anywhere and you’re good to go. 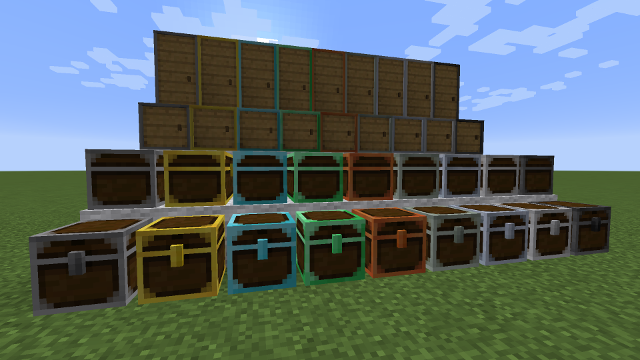 Crates: Crates initially have limited storage capacity, but can be stacked up to a 5x5x5 cubic pile. Only a small random selection of items can be accessed at a time. Lockers: Lockers are basically vertical chests. 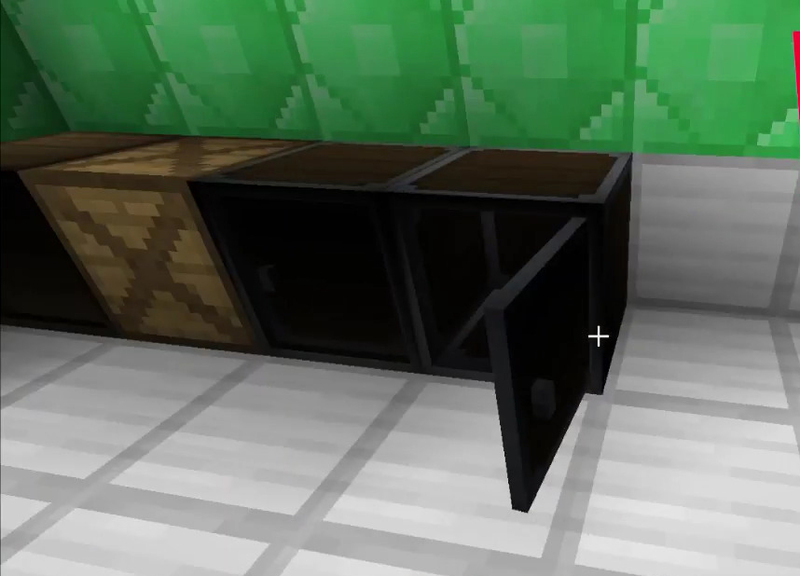 Reinforced Chests and Lockers: Stores more than their standard counterparts. 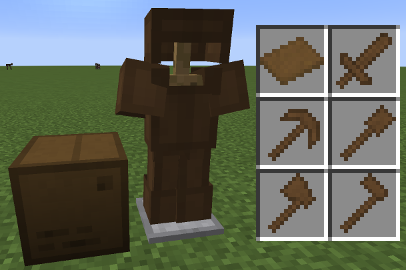 Different materials are cosmetic only, and do not effect the capacity of the chest or locker. Locks and keys: Can be used to secure reinforced chests, lockers and iron doors. Can also be dyed. Cardboard: Cardboard can be used to create limited-use transport boxes, amour and tools. Cardboard items can also be dyed.